The SE-8KITSPB1 security system from Lorex is perfect for your home or small business. 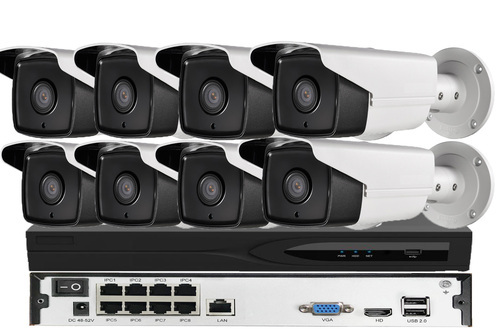 with eight bullet H.265 1080p IP cameras. Built-in PoE (power-over-ethernet) ports make installation a breeze. Simply connect the NVR and camera with a single ethernet cable. This reduces both installation time and cord clutter. The security cameras are also fully weatherproof and can be installed indoor or outdoors. within each of your bullet security cameras. You can also expect smooth on-screen motion from your cameras. They are capable of delivering real-time 25frames-per-second (fps) video (even at 1080p resolution).